Being a member of RBC your product's have always arrived on time plus I am seeing improvements better than I should for a 55yr old great products great service thankyou highly recommended!! First class service and customer care. The products received are excellent. Good results with no side effects. If I have had any queries or questions your email or phone call is answered immediately. They also give advise on the product and usage. Excellent. 10/10. Been using Ripfast protein on and off for some time now ( I am female by the way! )and all I can say is that it is really good and it has kept me in shape . The taste is superb compared to cheap alternatives and they always formulate their proteins with top quality ingredients. I recommended them to my son who has started training now after losing a considerable amount of weight . He has gain so much muscle mass with the help of Ripfast that he now gets asked at the gym how he achieved his built physique. Ripfast is definitely and always be my protein of choice. Quality of the protein is unrivalled! all flavours taste fantastic and mix well with both water and milk. The ripfast training methods have also worked fantastically for me (and even the friends ive introduced it to!). Wholeheartedly recommend. Having used the products for over 10 Years, I can say it does what is says on the box! I can happily say I’m a satisfied customer, Harry. Ripfast is brilliant, it’s by far the best legal products available. Set out as a plan delivered and it fits through your letterbox so you don’t have to worry about being in for the Courier. I absolutely love it. Forget Gillet, this is the best a man can get . I have been a member since year 2000, and bought the manual and found the training system unique, basically you work and feel the muscle pump after exercising. This is how it should be. I also tried the hulk protein back in 2005 and it was delicious and pure. I hope they continue to find effective training methods and supplements, i am a life long member. Very good company. Been with them over 18 years. 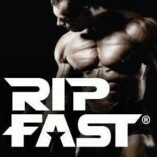 Ripfast Bodybuilding Club is the best supplement solution they've come up with. Easy, effective and affordable. I always recommend your products. Excellent products via Ripfast Bodybuilding Club. They have a very helpful team. I felt and saw a difference after just 10 days.